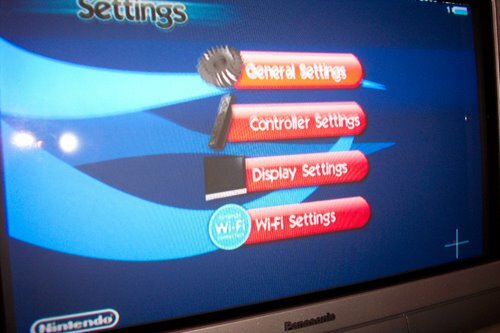 NintenGen: *FAKE? * Revolution option menu screen? *FAKE? * Revolution option menu screen? This pic was posted by the infamous Osoko Tanaka. You can see that it was taken from a tv screen with the Nintendo and Wifi logo's as well. Interesting for sure; most likely fake, but I'm sure you already made your mind up on that one.